NEW YORK (AP) — The chief executives of the country’s nine largest banks had no choice but to accept capital infusions from the Treasury Department in October, government documents released Wednesday have confirmed. Obtained and released by Judicial Watch, a nonpartisan educational foundation, the documents revealed “talking points” used by former Treasury Secretary Henry Paulson during the October 13 meeting between federal officials and the executives that stressed the investments would be required “in any circumstance,” whether the banks found them appealing or not. (VIDEO) Gordon Browns push for a “New Global Deal”. 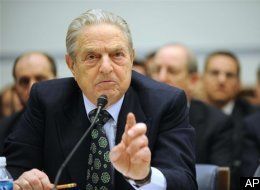 Prime Minister Gordon Brown urged American leaders on Wednesday to “seize the moment,” in tandem with their European allies, to work through the global economic crisis and prepare for a future that brings a world order. “Let me say that you now have the most pro-American European leadership in living memory,” Mr. Brown said. The global economic crisis requires a global solution, and fixing what ails the world’s banks will take time, says the head of the International Monetary Fund. 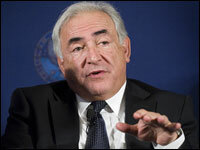 A recovery should begin in the middle of next year, but that depends on the right policies being implemented, Dominique Strauss-Kahn tells NPR in an interview.